Connie Halcom has been a client of this facility for over 20 years. In that time, we have examined and treated many of her animals and are well aware of the care and treatment given to each one. 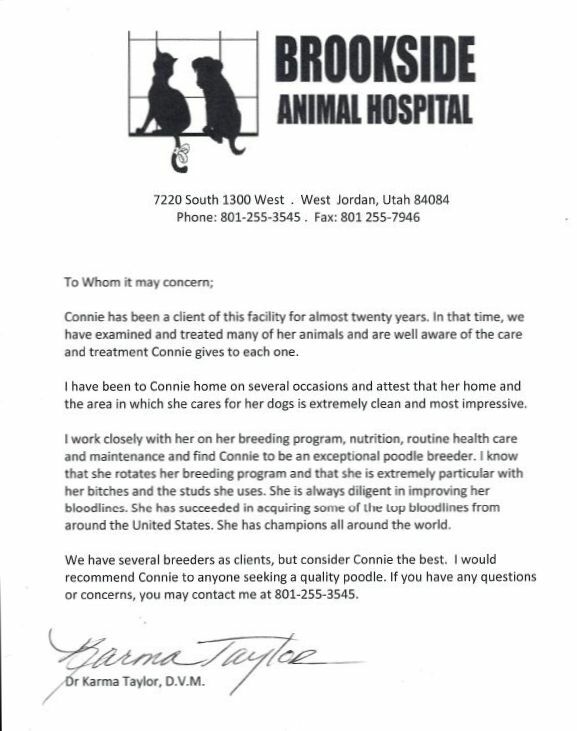 I have been to Connie’s home on several occasions and attest that her home and the area in which she cares for her dogs is extremely clean and most impressive.